It would seem the door has been fitter on the 'outer leaf' instead of sitting on the DPC. The issue is that we now wish to tile the floor right up to the door. I was thinking of digging our the brickwork under the DPC, putting a DPM in that trough and filling it with concrete. 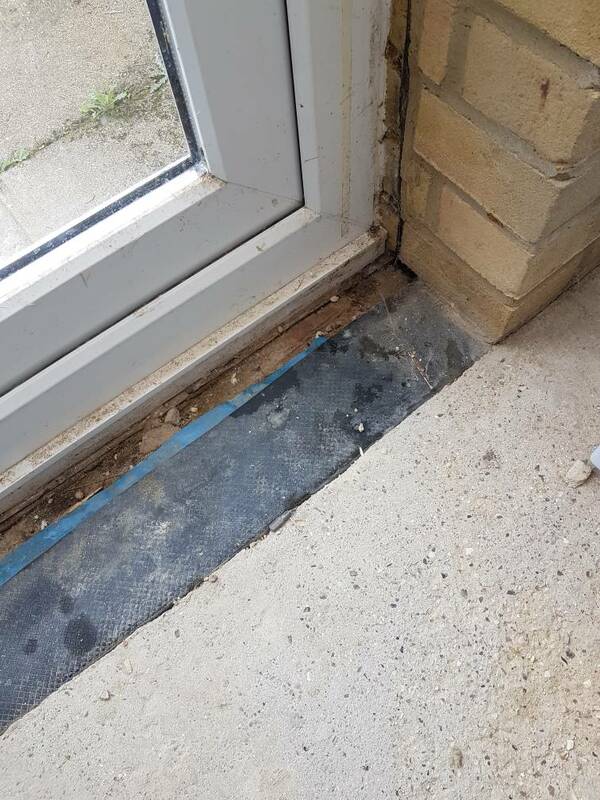 leave the brickwork under the DPCalone.dig out some of the cavity fill, its probly mortar an drop in a bit of membrane and then fill with mortar and smooth off level with the finished floor conc. is there a step down fom the door bottom rail to theground level outside? It looks to me like the inner skin of blockwork was brought up to dpc level all the way round including across the door reveals. That means that when the screeding was done, it stopped at the inner skin. 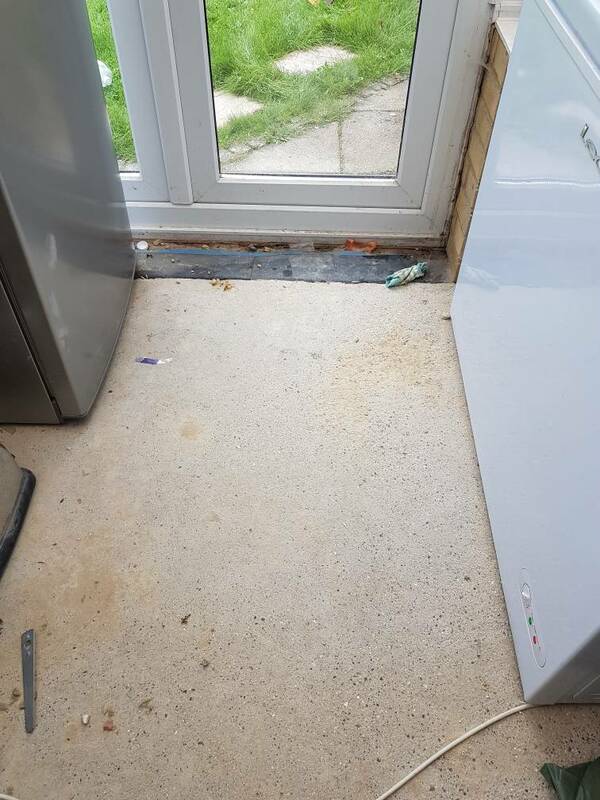 What should have happened is that the inner skin of blockwork should have been cut down to concrete oversite level, then floor insulation wnd screed brought across to where the door cill is. 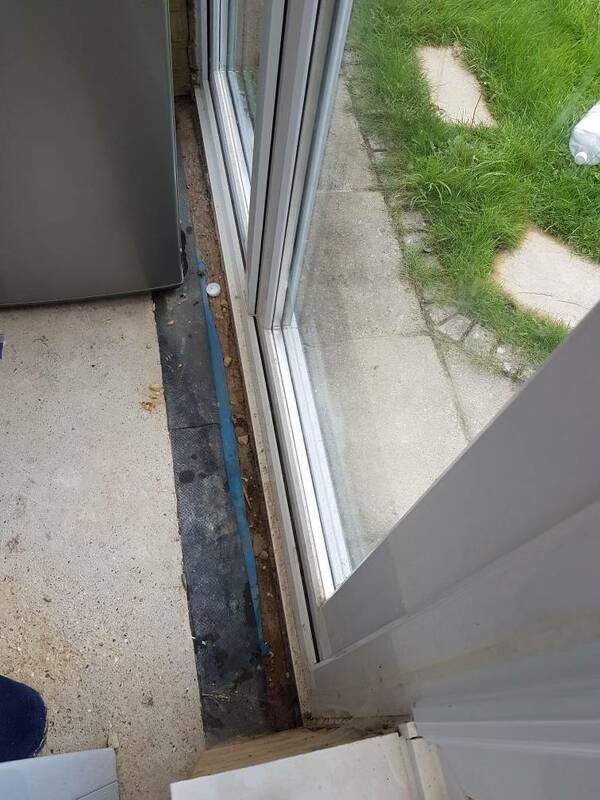 The damp arrangement is correct, other than the loose mortar thats been dropped in the cavity. 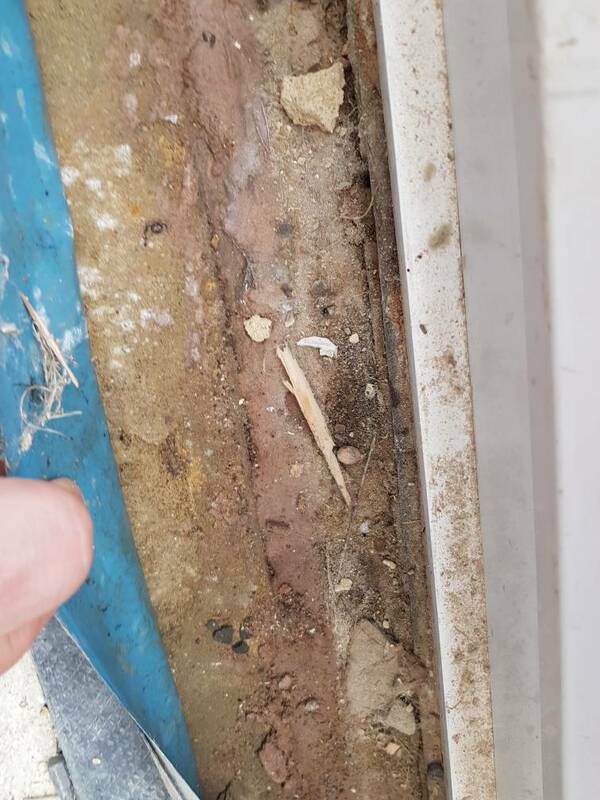 If you tile across to the door cill bear in mind the tiles may crack in the future due to any differential movement between the slab and the blockwork. There should be about a 6 inch drop, but the previous owners have raised the patio with concrete. It is now about 25mm lower than the conservatory. Didn't consider the issue with regards to the tiles, may look at an alternative.